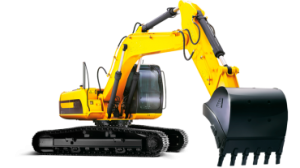 Modern excavators are designed for various types of excavation and loading. They have many options for use – they are used during the laying of roads, construction, in the resource-extracting industry. It is difficult to imagine the construction of a house or the laying of a new asphalt without an excavator. With the help of this earth moving equipment, it is possible to load and unload bulk materials, move loads and dig out quarries. You can see excavators on the streets of your city – repairing roads, building buildings and replacing pipes of a water supply network can not do without these machines. The most important part of the excavator is a ladle, because it is the machine that carries out the loading of the material and the digging of the earth. Often it has a large size, consists of three walls (one back and two side), teeth and adapter, which allows you to attach the bucket to the handle and pull. All parts are reliably welded together to avoid emergency situations during construction work. A bucket with teeth is used to perform various excavations. Depending on what kind of task is facing this construction equipment, the buckets can vary in size, as well as the number and type of teeth. All this is necessary in order to reduce the wear on the components of the excavator and to extend the life of the excavator. Also, the bucket teeth help reduce the initial load exerted on the bucket. If earlier used excavator teeth of bucket, which were attached to the nests of the cutting edge, today the most common are forked teeth, which are attached with bolt fasteners. However, like any other parts, the teeth of the excavator bucket wear over time, as they are constantly exposed. To ensure that the earth-moving machinery served the due date, during repair it is necessary to use only high-quality parts manufactured by well-known manufacturers. Thus, the recovery of the excavator will take less time and will be most effective.